Open daily from 8:00 AM–11:00 AM, 3:00 PM–9:00 PM. For after-hours check-in, please call the office at 760-648-7712. We know how it is when you want to bring your best friends with you wherever you go, so make yourself and your pet at home in one of our pet-friendly rooms. 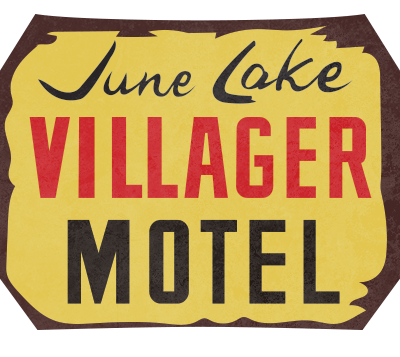 With advance notice, you can book a pet-friendly room and bring your best friend with you to enjoy all June Lake has to offer. Pets must be housetrained and they may not be left unattended in the room unless crated. There is a $10 per pet per night cleaning fee. Right next door to the Tiger Bar and Cafe and only a skip away from the other restaurants, shops, galleries, and general store. Less than a 5-minute walk to June Lake Marina or about a 10-minute walk to Gull Lake Marina. June Mountain is only one mile away or a 20-minute drive south on Hwy 395 will take you to Mammoth Mountain. All of our rooms have new 30" flat screen TVs! Enjoy a crisp, clear, picture and choose from over 70 channels on our cable network. Free wireless in all of our rooms. We have fully equipped kitchens in all of our cabin rooms. Kitchens include microwaves, coffee makers, toasters, ovens, stoves, refrigerators and freezers, dishware, and cookware. Enjoy a nice barbecue in the summertime and a warm, cozy, wood crackling fire in the wintertime. Clean your fish at our fish cleaning station. Then grill them up on a BBQ or freeze them and store them in our guest freezer to take them home with you.